The story of the perfect maternity gift. Everyone knows that storks deliver babies all over the world. From the time they hatch, stork chicks cannot wait to fly and learn to deliver the perfect maternity gift to loving families like yours. But sometimes a stork chick feels so comfy inside its egg that it just won’t hatch. In fact, the only thing we’ve found that can bring one of these sleepy storks out of its shell is the love and joyful anticipation of expecting a baby. Help this stork hatch the perfect maternity gift! Just give this egg your due date and place it in your baby’s nursery. 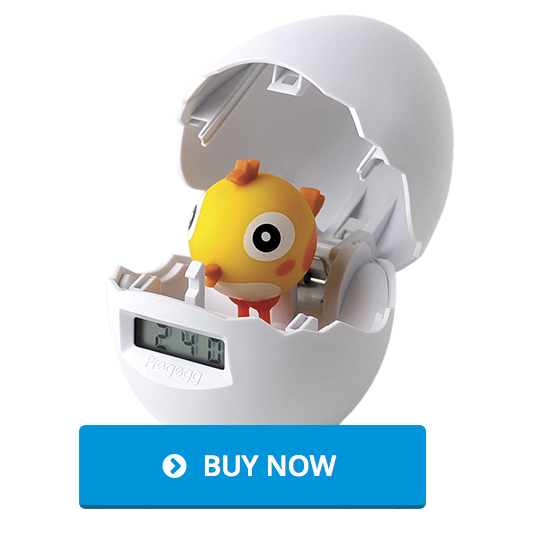 As the love of your new baby grows stronger every day, the egg will count down until it pops open just in time to give your little one an extra special stork greeting! The hatched stork is a perfect keepsake to represent the joy of your family’s newest addition.